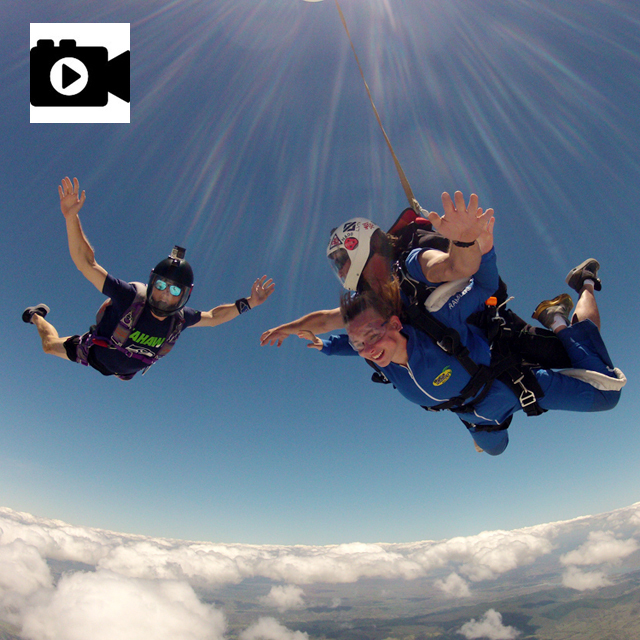 Digital Tandem Skydive Video: Ramblers Camera Flyers take footage of ground training, your spectator friends and family, aircraft take-off & flight to height. They capture your exit from the plane, freefall, opening of the parachute, flying of the parachute & landing. The end production is an exciting 6–8 min. mini movie of your jump, digitally edited with modern effects & slow motion, dubbed to music onto a USB. ALL Ramblers Camera Flyers use the latest in digital video technology assuring you of a first class production and the best quality footage.